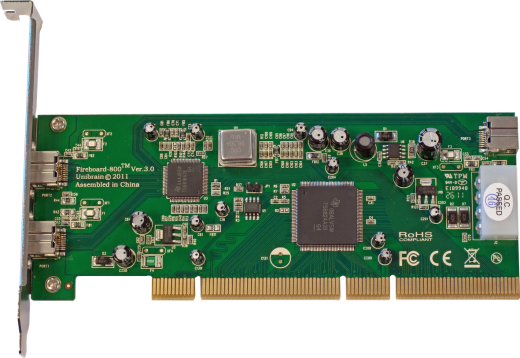 Dual LSI FW643-e Rev.2, High Performance 1394b to PCI Express OHCI integrated Link/PHY host controller chipset. 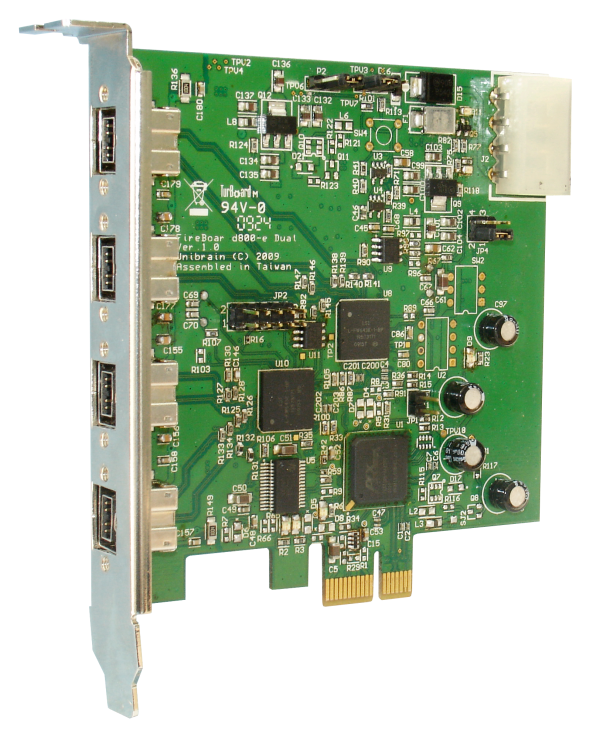 Full compliance with PCI Express revision 1.1, single lane (x1) interface. Windows 7/8/10, 32 & 64 bit editions. 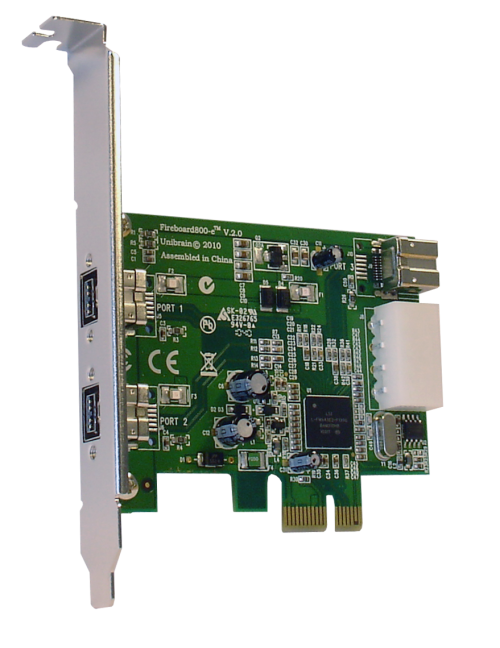 • One FireBoard800-e Pro Dual™ adapter in bulk packaging.